International students need money just like anyone else, but there is surprisingly little advice out there geared toward their unique financial circumstances. Big banks and investment firms, for example, don’t look at students with dollar signs in their eyes (they don’t have juicy relocation bonuses to invest). Since most students don’t have much of an income–if any at all–it’s access to funds that should be their main concern. 1. If you can afford it, open two bank accounts. There are two reasons for this: foreign exchange risks and transaction fees. Depending on your home country and where you are studying, the former may not be much of an issue. Fees, however, are a problem for everyone: fees to withdraw cash from foreign ATMs, fees to convert currency, fees to use debit cards at foreign points of sale… the list goes on and on. Rates vary from bank to bank–the important thing is to know which apply. Visit your bank before leaving to study and sort out the details. The best way to get around these fees is to open a new bank account in the country where you are studying. 2. Make sure your cards and accounts will work abroad. There are few things worse than feeding a shiny new ATM card into a bank machine for a routine withdrawal, only to have the card reader swallow it whole. 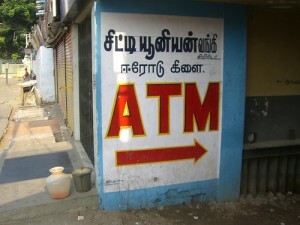 Check with your bank(s) in advance to see if there are any known issues with foreign ATMs. Many students travel frequently, so think about any countries you could end up visiting in addition to where you are studying. 3. Set up internet banking for all your accounts. These days this is second nature to most people, but that hardly diminishes its importance. Online banking is absolutely the most convenient way of keeping track of your finances, as well as arranging for wire transfers. If you have accounts in different countries it can potentially save you a bundle on international service calls, too. 4. Be safe. Don’t carry all your bank cards on you at once (particularly if you have multiple bank and/or credit cards). Additionally, set PIN numbers and passwords to combinations other than your birthday. If a thief gets a hold of your ID and wallet that’s the first thing he’s going to try. Also try and avoid carrying large amounts of cash–granted for most students that’s usually not a problem. 5. Keep some emergency cash hidden somewhere safe. Even the best-laid plans go awry. Ornery machines refuse to read cards (despite your bank’s insistence everything will work fine), wallets get lost, shops refuse to accept plastic payment. Arrive in your host country with some spare cash–about USD 500 should be plenty. This will help you cover any initial or unforeseen expenses. Making proper arrangements for your banking needs may seem tedious, but investing a bit of time and effort up front will have you breathing a sigh of relief every time you hear someone curse a bank’s automated customer service over her mobile. Opening an account before turning 18 may be advantageous as well, the reason being that some banks have higher interest rates for accounts for minors than their other accounts offered. Rates vary from bank to bank–the important thing is to know which apply. Visit your bank before leaving to study and sort out the details. The best way to get around these fees is to open a new bank account in the country where you are studying. I am a student I have completed my bachelors from the University of Karachi and i want to study more but I have some financial problems. So what do u suggest me to do and how can I study MBA from an European country? I’d appreciate your advice. Thank you.